One of the most efficient and effective full-service list companies committed to reach targeted donors, Name Exchange is a top resource for direct mail fundraising. Name Exchange is devoted to providing clients with profitable mailing results and superior service. 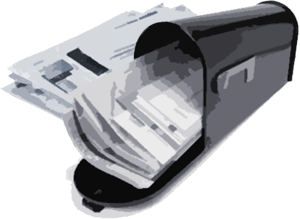 We offer comprehensive mail program services using new test ideas, expanded universes, reduced front-end costs via list rental and exchange negotiations, and much more. We ensure the success of mail campaigns through vigorous research, detailed analysis, precise mail protection and a thorough understanding of how to bring a fundraising message directly to a prospect to maximize results. Name Exchange also has a wide array of resources at hand, including tactical marketing consultation, creative development, data modeling and hygiene and print and mail services, all while maintaining quick turnaround times. Each client is unique and received individual attention, taking full advantage of Name Exchange’s consistent record of growth and profitability — a record that has withstood the tests of time and change. As the fundraising world continues to evolve, so does Name Exchange, combining years of experience with the innovations of tomorrow to reach excellence in direct mail fundraising.